I’m not sure if you are feeling it, but it’s hot, hot, HOT here in Southern California! I’m not complaining though. I enjoy the seasons (what little we get here) so it feels right to start July off with some warm, sunny days! We are keeping cool in just about any body of water we can – yesterday was our local waterpark, tomorrow will be the beach and pool (church beach day followed by swim lessons! ), and Wednesday we will be at the lake! I’m thankful for the opportunities to stay cool and am reminded to pray for those who don’t have such ways to cool off. • We’ve got a new request this week! Please pray for a sweet lady name Troy. She was recently diagnosed with a brain tumor behind her ear. She will undergo surgery this coming Monday (the 8th) to remove the tumor. Please pray that the Lord would guide the hands of the surgeon to get every bit of that tumor and not any bit more! Pray God would give Troy a successful surgery and complete healing. Pray that Troy would experience the peace and joy that only God can give through this whole process. Let’s also pray that Troy would see God meeting all her practical needs during her recovery! • As we celebrate Independence Day this week, thank the Lord with me for the incredible freedoms we have in the United States. I’ve not had the opportunity (yet!) to do world traveling, but as I talk with missionaries and read about the oppression Christians experience in so many places around the world, I’m reminded of those freedoms I can so easily take for granted! As we pray, let’s also beseech the Lord to protect the freedoms we have and to put a stop to those who would come against believers here and around the world. • Graduates have been on my heart this week. Think about who you know who has just graduated high school or college and is beginning a new chapter of life with greater independence and greater responsibility. College is such an amazing time of life! The things we experience in college and the opportunities college life brings are really never to be repeated in that same way again. Studies show it is a ripe time spiritually! Many, many college students begin to explore thoughts about God and spirituality for the first time. It is also a time when, sadly, many who have grown up in the church or previously professed faith in Christ choose to walk away from God. Graduates need our prayers!! I had the chance to be reunited with 7 of my closest college friends this past weekend. My friend, Julie, who was the last of the 8 of us to get married is now pregnant with her first baby. 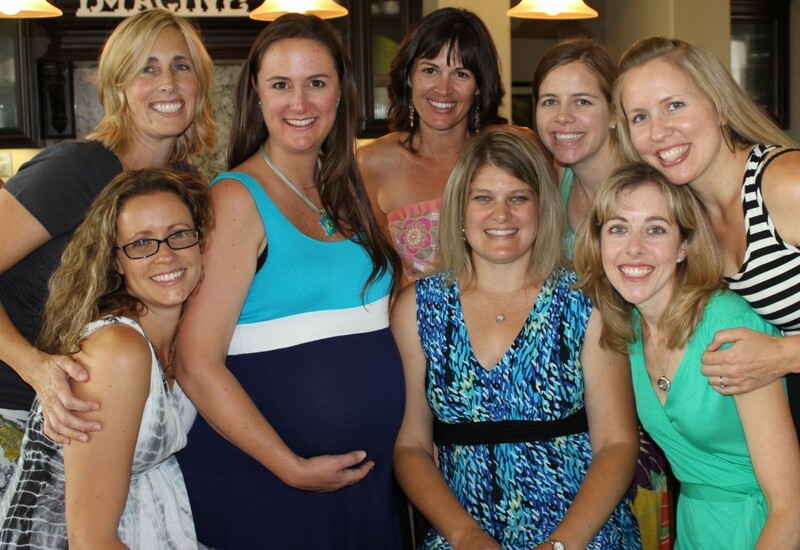 We came together to celebrate her baby’s pending arrival and it was a sweet, sweet time! These girls were all part of Alpha Gamma Omega’s Little Sister Program with me. AGO is a national Christ-centered fraternity and as the female branch of that body we enjoyed deep fellowship and Christian accountability unlike anything else I’ve ever experienced. Those four years together had such a profound impact on my life! As I’ve been thanking the Lord for those friendships this weekend, I’ve been reminded to pray for those I know who are on the brink of that season of life. Let’s pray this week for graduates everywhere! Pray with me that the Lord will raise up a generation of strong, godly leaders among the 2013 graduates! Pray that they will be surrounded by godly friends and that they would come to know Him, or know Him more deeply, over the next few years. If you know a graduate who could use the encouragement of our prayers by name, please let us know! 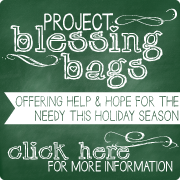 We’d love to add him or her to our prayer list for a future Prayer & Praise Monday post. Also, (here comes the shameless plug!) don’t forget that Throne of Grace has some great tools to equip you to be a blessing to those graduates! 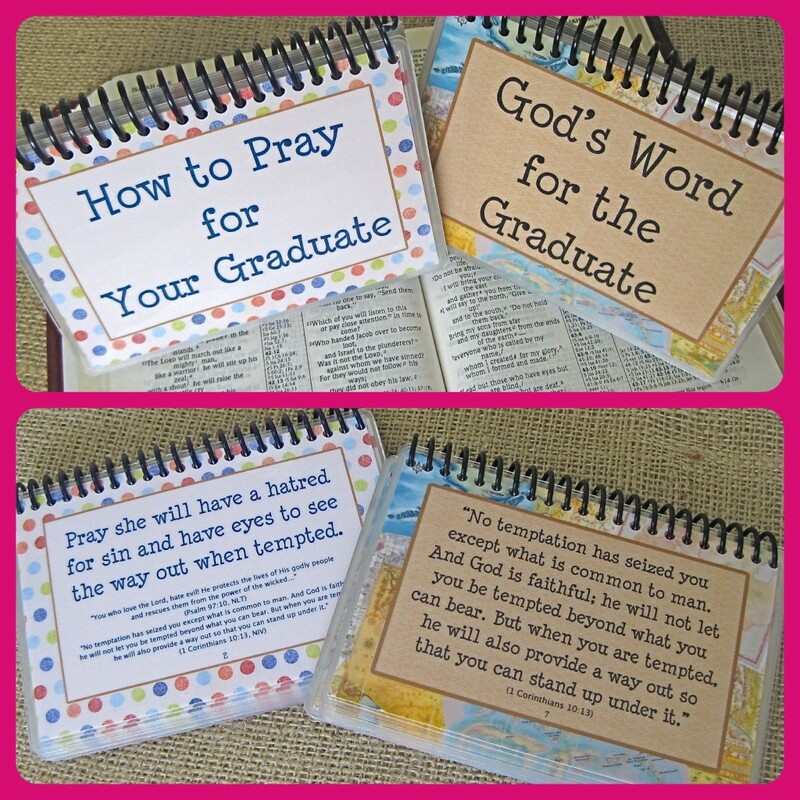 Our “How to Pray for Your Graduate” set is designed to be used by those praying for a special graduate. We also have “God’s Word for the Graduate” which makes a perfect gift for the grad. Send him or her off with the encouragement of Scripture! I’ve given that set to many former students – Christian and non-Christian alike! Have a great 4th of July! We are taking the rest of this week off to enjoy the holiday (and our warm weather! ), but we’ll be back next week with some ideas on how to incorporate worship into daily life. I’m looking forward to that one! Thanks for mentioning Troy, Molly!! Thank you for the great reminder to pray for graduates! I just put a reminder in my phone for early Monday morning to pray for Troy. Thank you, as always, for sharing these things with us! Thanks for praying with us Jenny! I’m still a sucker for a paper calendar – gotta see it all laid out in front of me – but don’t you love the reminder feature on smartphones? Great idea to use it to remember to pray! I’ll put a reminder in my phone for Troy too!